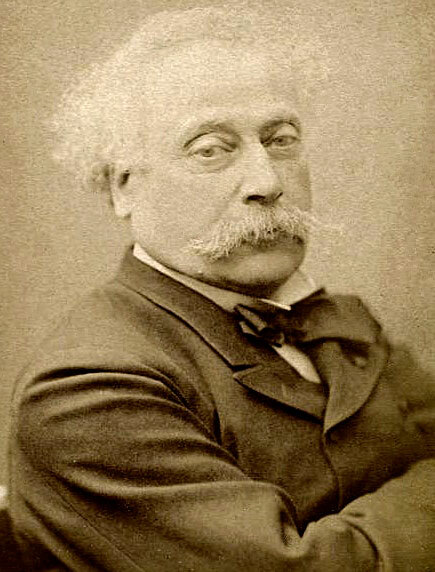 ALEXANDRE DUMAS, fils (1824–1895) was a French writer and dramatist, best known for Camille (a.k.a. The Lady of the Camellias). Dumas was born in Paris, France, the illegitimate child of Marie-Laure-Catherine Labay, a dressmaker, and novelist Alexandre Dumas. During 1831 his father legally recognized him and ensured that the young Dumas received the best education possible at the Institution Goubaux and the Collège Bourbon. At that time, the law allowed the elder Dumas to take the child away from his mother. Her agony inspired Dumas, fils to write about tragic female characters. On 31 December 1864, in Moscow, Dumas married Nadezhda von Knorring, daughter of Johan Reinhold von Knorring and widow of Alexander Grigorievich Narishkin. The couple had two daughters. After Nadezhda's death, Dumas married Henriette Régnier de La Brière in June 1895. In 1874, he was admitted to the Académie française and in 1894 he was awarded the Légion d'honneur. The Lady of the Camellias (French: La Dame aux camélias) was first published in 1848, and subsequently adapted for the stage. The Lady of the Camellias premièred at the Théâtre du Vaudeville in Paris, France on February 2, 1852. The play was an instant success, and Giuseppe Verdi immediately set about putting the story to music. His work became the 1853 opera La Traviata, with the female protagonist, Marguerite Gautier, renamed Violetta Valéry.